Extras work provides the much needed platform to young and aspiring actors to hone their acting skills, to get hands-on acting experience from veteran actors, and to improve their future career prospects. And not to forget, it allows actors to earn decent income and visit fascinating places around the world. 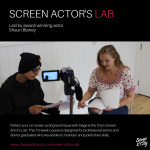 If you are a novice who has just finished your acting course and are waiting to get your first break in the tinsel town, you must honestly be taking up any extras work that comes your way. Whether you get paid little or nothing at all, whether you are given a dialogue or are asked to simply stand in the background, take up the film extra role without showing any reluctance. After all, there is so much to gain from the extras work, whether big or small. But if you have been in the industry for quite some time now and you have been lucky to get film extra and tv extra work in the past, you can afford to be a little selective. Before you appear for the film extra or tv extra acting casting auditions, do a thorough research about the film/tv production house. Under which banner is the film being produced? Who is the director/producer? Are they known in the industry? Have they made hit films in the past? If you want to improve your acting career prospects, work under successful banners. Your future employers would be impressed to know that you have worked with such and such big directors in the industry and would most likely offer you work in their own films. Likewise, whenever your casting agent offers you any extras work, ask him who the lead actors and actresses are in that very film. By working with famous and experienced actors, you can learn a lot from them and can imbibe the same to assure yourself of the name, fame, and success that those actors are enjoying. Before signing the contract, read the terms and conditions carefully. Will you be given costumes? Or will you have to manage with costumes and props on your own? If it is an outdoor shooting, will you be travelling with the rest of the crew? Would there be accommodation and food arrangements? How long will the shooting be? How much will you be paid for the extras film or extras work tv? It is important to know all this to make adequate arrangements. If, for instance, the film extra role is short, say for a day or two, you can take up more work at one point of time to augment your income.